Webmaster’s note: The below article was published in the newsletter of the West Stockbridge Historical Society after our most recent performance at one of the society’s events. 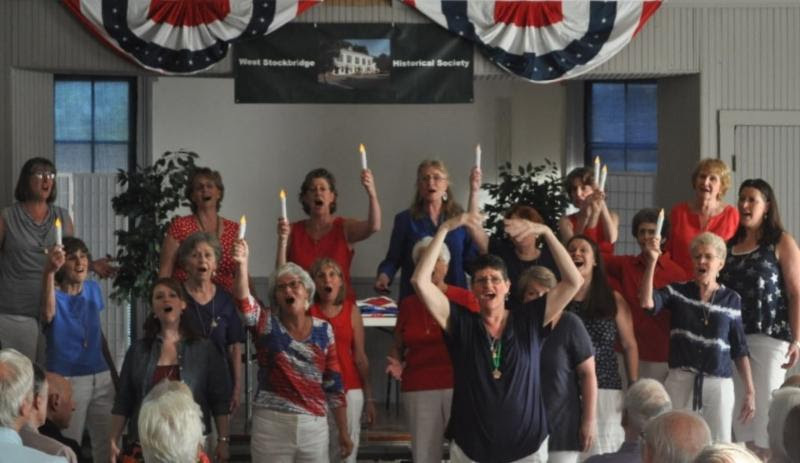 On July 18th more than 70 people cheered the performance of the Berkshire Hills Chorus of Sweet Adelines at West Stockbridge’s Vaber Hall in the 1854 Town Hall. Nineteen women sang a wide variety of songs, a cappella, each in four-part harmony, and the enthusiastic audience was charmed. Based on barbershop quartet style, the Sweet Adelines sing in quartets, octets, and as a full chorus. The Berkshire Hills group arranges their own music and has won several recent prizes from Sweet Adelines International — last year they took 1st Place in Division A (under 30 members) and 1st Place for Most Improved chorus. Historical Society members Zina Greene and Frank Litsky sponsored the evening in honor of Frank’s 90th birthday. The performance was open to the community, free to Historical Society members, and a contribution of $10 was suggested for non-members. The event raised nearly $1,000 for the restoration fund, and contributions in Frank’s honor are still coming in. 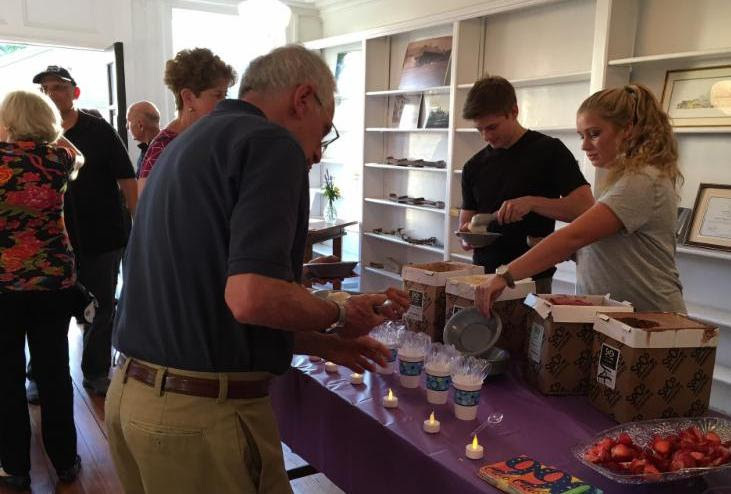 The concert was followed by an ice cream social. 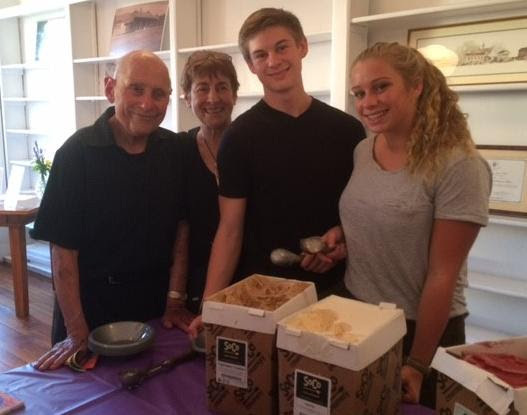 Two of Frank’s grandchildren who had come from California to celebrate his birthday served SoCo Creamery ice cream along with cookies and fresh fruit — a festive ending for this wonderful event. Nathan & Sarah James serve yummy SoCo ice cream. They trained at No. 6 Depot to prepare for scooping ice cream. The Historical Society will definitely invite the Sweet Adelines back to West Stockbridge and hope to again fill the Hall next year. In the meantime, the singers will be performing at Tanglewood on Parade in August. They practice every Tuesday evening in Pittsfield and welcome new members. Next Post The Berkshire Hills Chorus Shop is Open for Business!